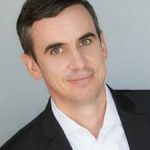 Matt Hibbard is an experienced public and private company CFO with a background in building and scaling innovative and high growth technology companies. With expertise leading two successful IPOs, raising VC financings and structuring various debt instruments. Follow @matt_hibbard on Twitter and LinkedIn.